Ebenezer Scrooge has become our society's archetype for the indifferent and the miserly. 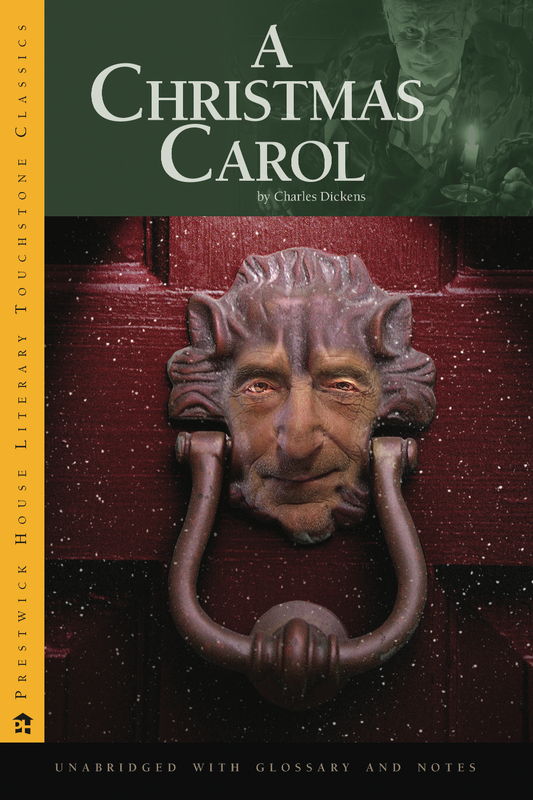 But Dickens' beloved tale reminds us that repentance is possible and redemption is attainable. This classic study of Victorian social values and the unintended consequences of the Industrial Revolution is both troubling and optimistic, a challenge to do better and a promise that we can. Our Literary Touchstone Classics are unabridged, complete texts, and come with unbelievable prices. Each book is a value-priced, high-quality trade paperback, which you will receive for at least 50% off retail. Your students will benefit from: Reading pointers highlighting themes and providing background; Line numbers and sidebar notes in every Shakespeare play; A glossary defining difficult vocabulary and allusions; Prices so low that students can annotate their own books. Sturdy bindings, premium paper, and American-made construction are always used to ensure you get the most out of your Literary Touchstone Classic, perfect for any classroom or library.